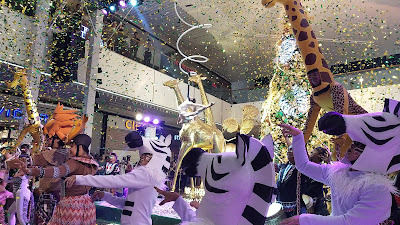 This Christmas, SM Aura Premier takes customers on a stunning holiday expedition to the sparkling wild. 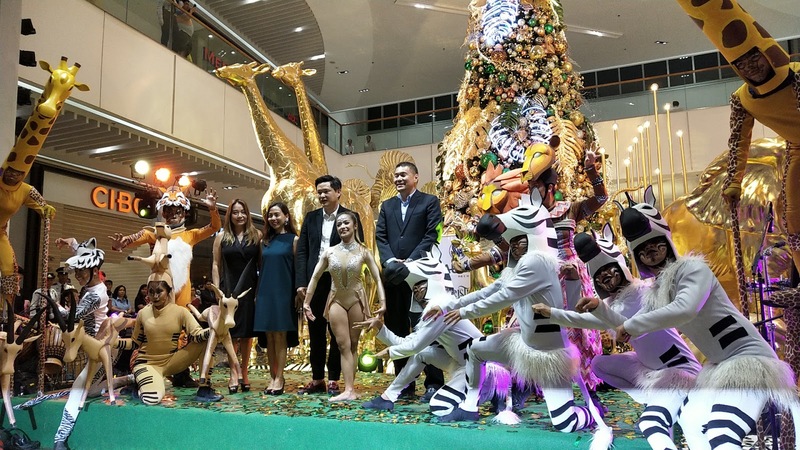 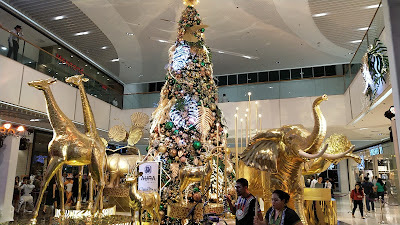 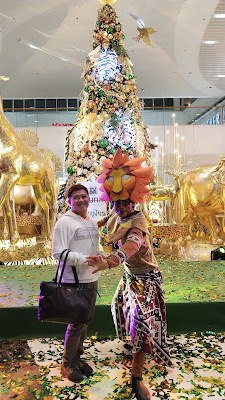 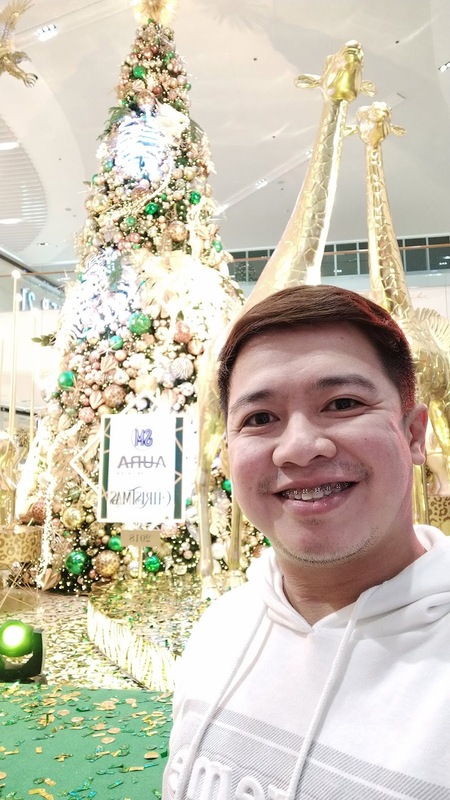 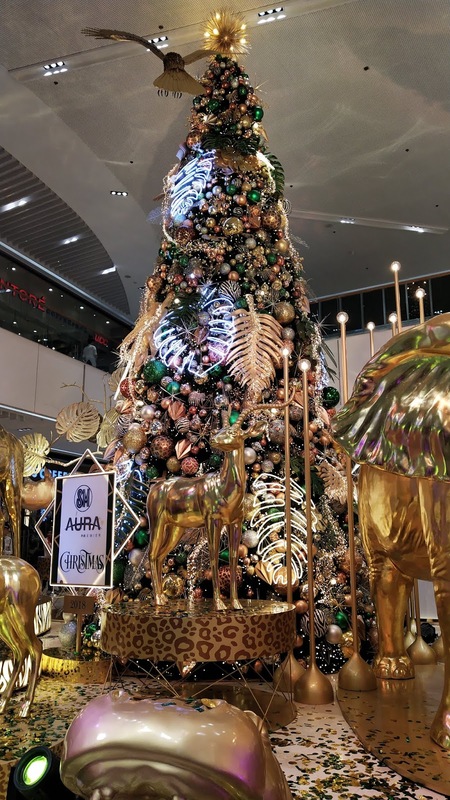 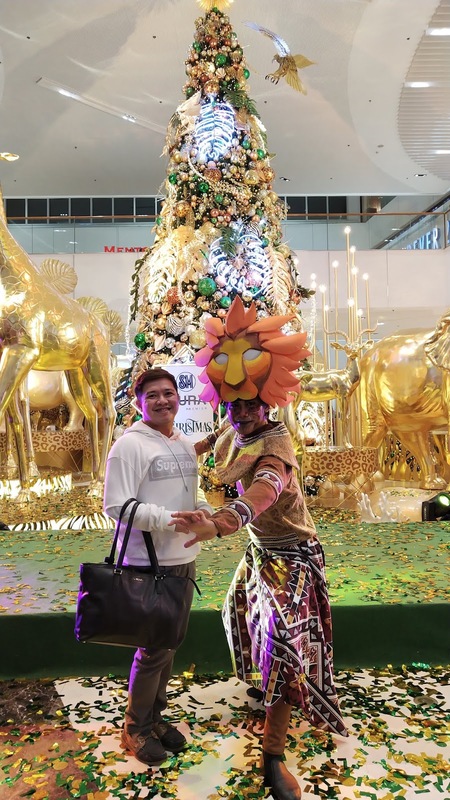 Life-size installations of majestic creatures from the safari and glittering stars and lights in hues of gold and green found their way to the gigantic Christmas tree display at the mall's Main Atrium. 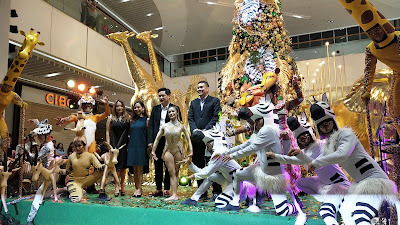 During the tree lighting ceremony, the audience was treated to an African-inspired ensemble, with a drum circle and dancers decked as the animals of the wild. The program was capped off by an elegant aerial dance display, signalling the lighting of the tree. 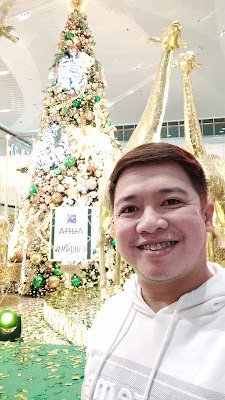 Christmas is all about magic, and after last year’s Under the Sea Digital Underwater Experience, SM Aura pushes the envelope of art even further by creating an immersive display in partnership with Huawei Mobile Philippines called, ”Prism of Lights." 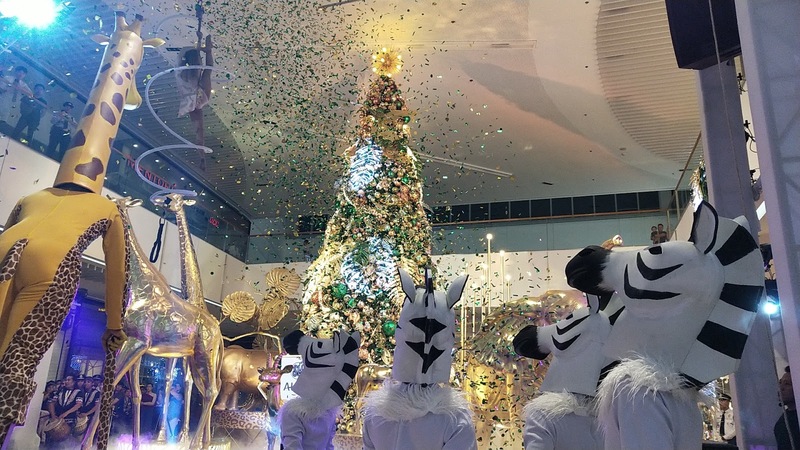 Here, mallgoers can experience the interactive light show, an interpretation of the beauty and wonder of the pristine night sky. The exhibit is open to ail for free, perfect for capturing those picture-perfect holiday memories. 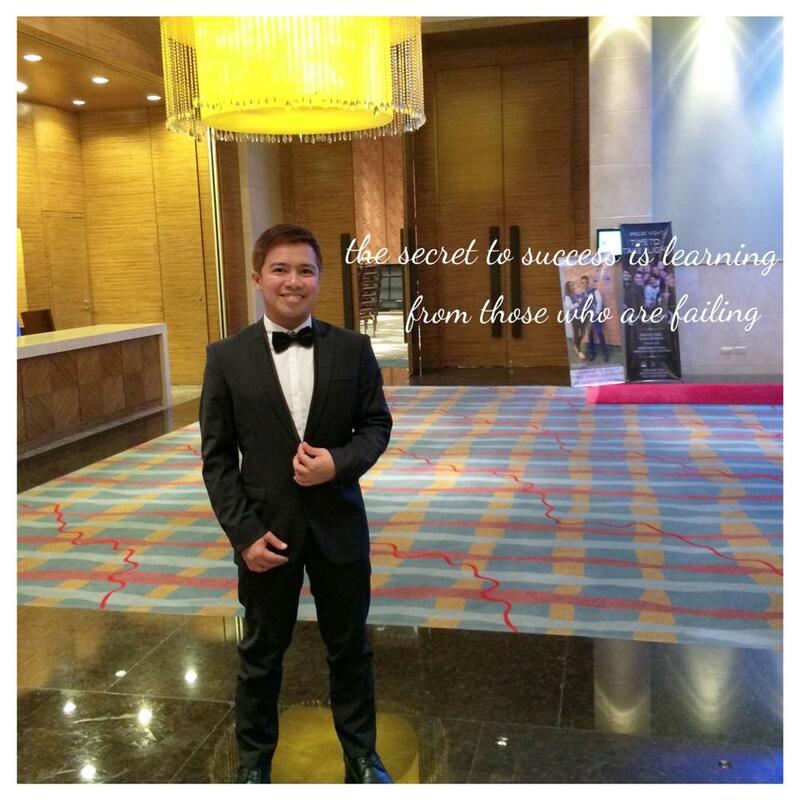 SM Aura Premier is the upscale shopping and dining destination in Taguig city. A recipient of the prestigious LEED® Gold certification, SM’s 50th mall serves as a forerunner in fashion, dining, and art concepts, being the first to offer the top international brands and to showcase global artists in the Philippines. 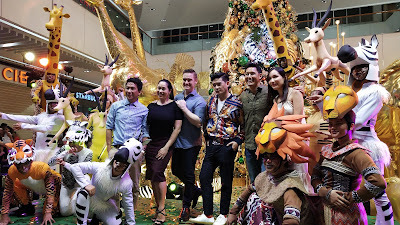 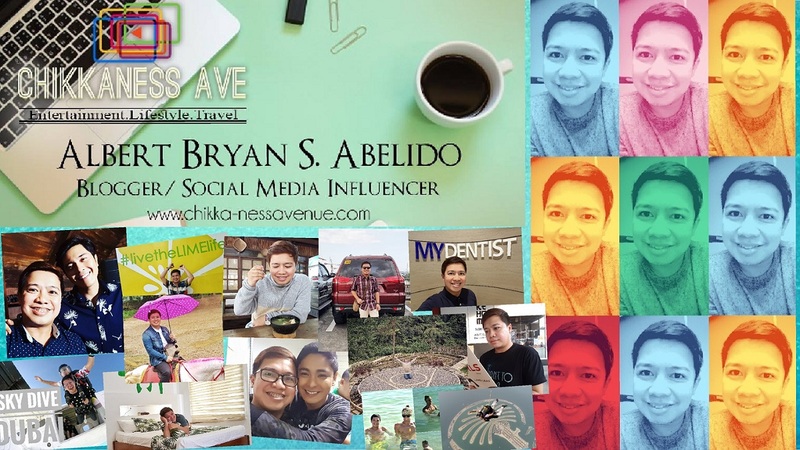 SM Aura Premier aims to be the country’s leading destination for art, life, and style.